A review of the game. 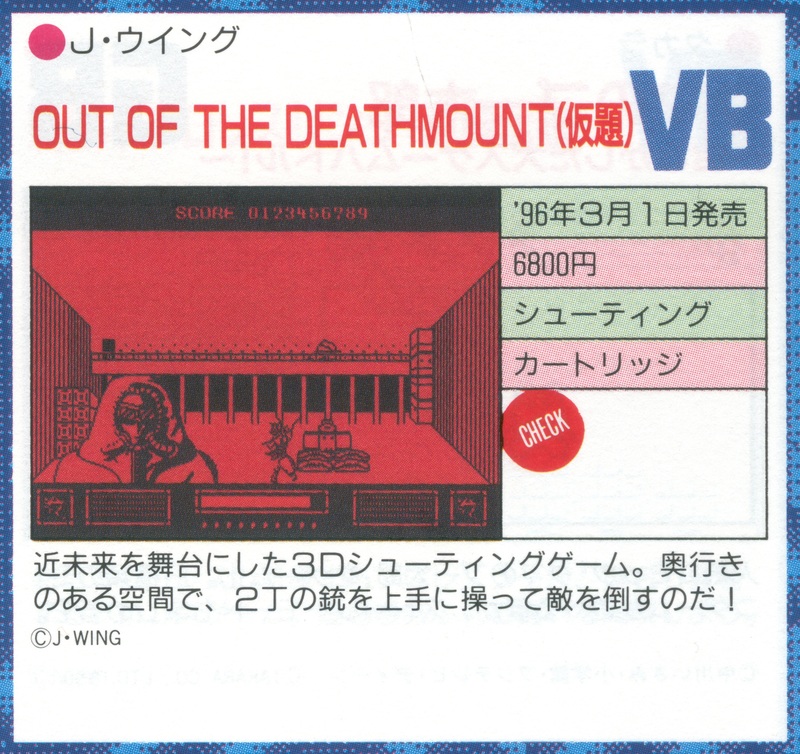 Out of the Deathmount was a cancelled Virtual Boy game from J-Wing that was supposed to be released on March 1, 1996. 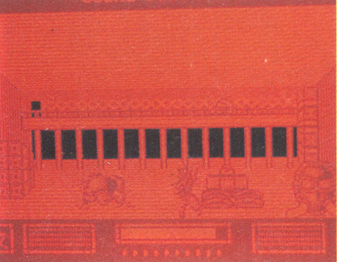 However, due to the Virtual Boy's poor sales and bad reception, the game was never released. 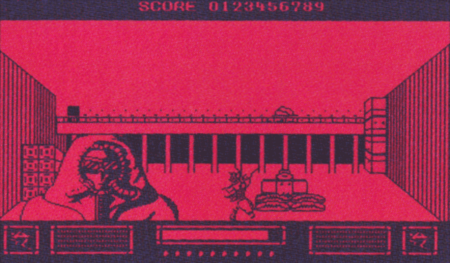 Not much is known about the game, but based on various screenshots and articles, it would have been an FPS game where the player would be given two guns (which were likely both controlled by the Virtual Boy's dual d-pads) to shoot enemies with. 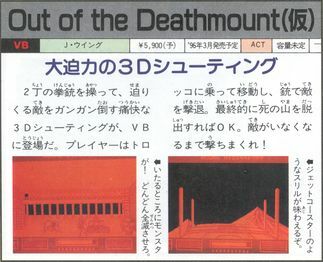 Additionally, "Out of the Deathmount" may not have even been the game's final title, but instead one made for the pre-release stages of the game. 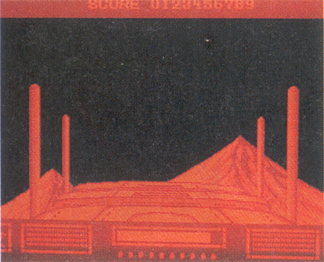 Regarding the game's availability, considering the fact that the game was displayed at Famicom Space World 1995, a prototype of it may still exist somewhere, although J-Wing may also not exist anymore as the last game they developed, Animal Breeder 4, was released in 2001, which would make it harder to track down a copy of the prototype. As of now, only some screenshots of the game and articles pertaining to it exist.